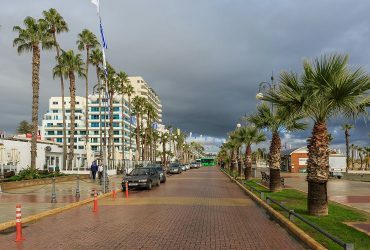 Paphos is a coastal city in the southwest of Cyprus and the capital of Paphos District with the population of 80.000 people. It is the second largest Southern resort of Cyprus and also UNESCO world heritage site. Since November 2008, the new Paphos International Airport started its operation. 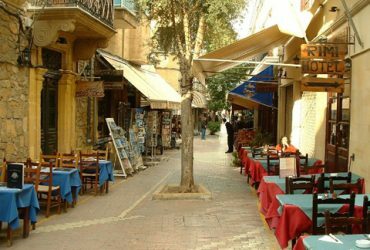 For those who love history, Paphos is a sheer paradise. It is full of places and remnants with either historical or legendary background, like: Aphrodite’s birth place (Petra Tou Romiou), St.Pauls’s pillar, Tombs of Kings, the Medieval Fort of Paphos, Baths of Aphrodite, Roman villas, Byzantine churches and basilicas, sanctuaries, castles from the Crusade times, pre-historic settlement and a lot more. 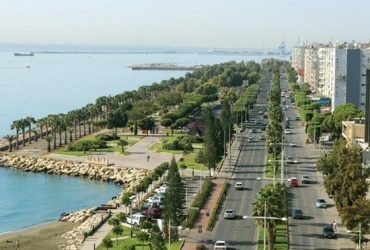 Paphos consists of two areas: the coastal resort area (Kato Paphos) and the town itself (Pano Paphos) which is located slightly inland. The central point of the town is a charming fishing harbour. 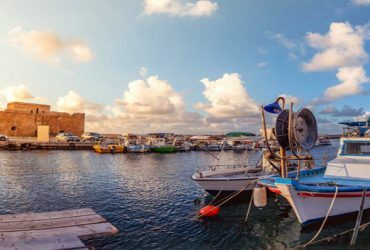 Located here, you will also find Paphos Fort and many taverns and open air cafes all serving excellent food and the catch of the day. The town centre just up the hill from the harbour is much more elegant and there are a number of sights worth seeing including the covered market, a handful of museums and some impressive Roman mosaics. Those with a sweet tooth might want to visit Yeroskipou, a village to the south from Paphos, where loukoumi (Cypriot type of Turkish delight) is made.